Ships today if you order in the next 13 hours 40 minutes. Your body depends on a wide range of vitamins and minerals to function correctly and keep you healthy and active. Many of these nutrients can be gotten from a healthy diet, but even the healthiest of diets can leave nutritional gaps that need to be addressed with a multivitamin supplement. If you have troubles swallowing multiple pills every day to maintain your health, Metabolic Maintenance offers Vitamin/Mineral Base Powder. 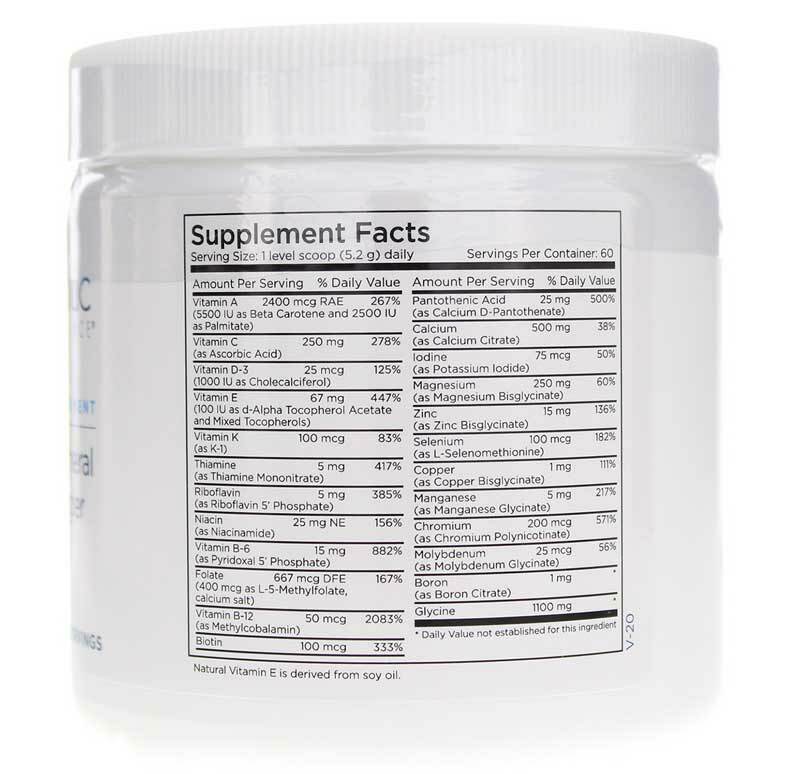 This convenient powder can easily be mixed into water or your favorite juice, and still delivers all of the nutrients of regular multivitamin pills. Start supporting your health in an easy-to-use manner. 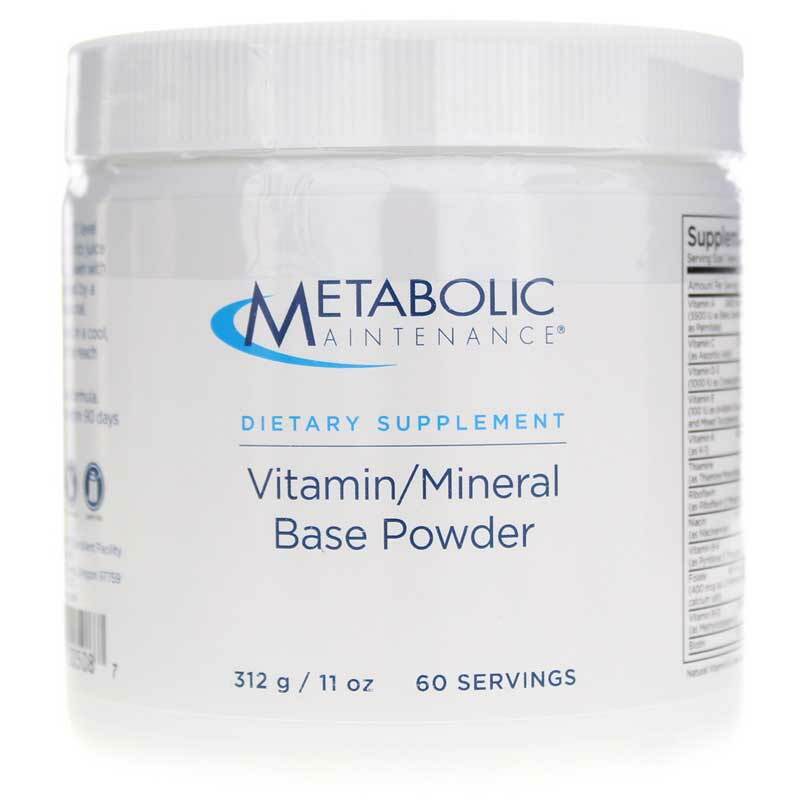 When you choose the Custom Vitamin/Mineral Base Powder from Metabolic Maintenance, you're choosing the convenience of a powdered drink mix that delivers all the vitamins and minerals your body needs. Give it a try today and see the difference it can make in your overall health! Other Ingredients: Natural Vitamin E is derived from soy oil. 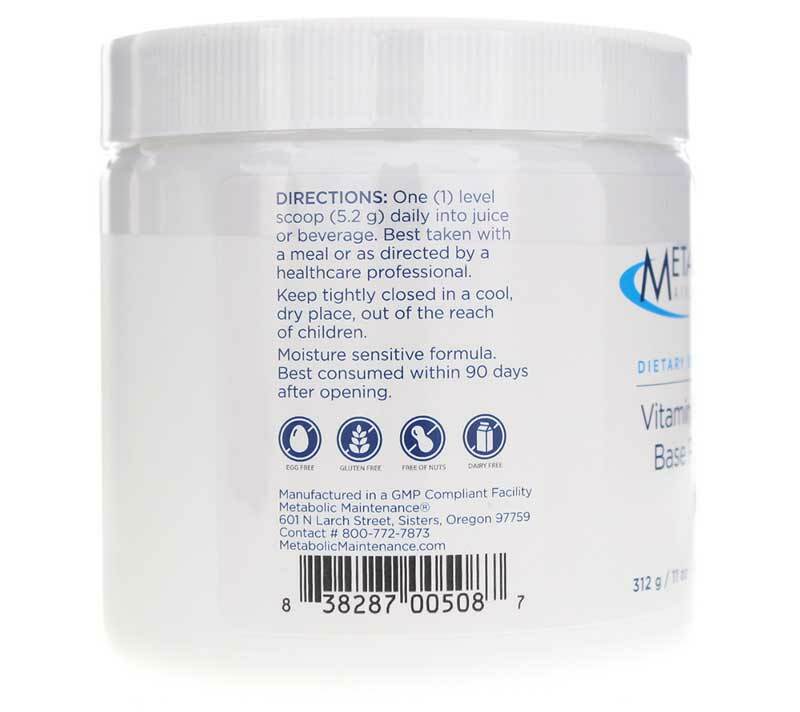 Adults: One level scoop (5.2g daily) into juice or beverage. Best taken with a meal or as recommended by a healthcare professional. Mixes well with smoothies and other drinks as long as it goes in the blender. I mixed it by hand and it took about three minutes to disolve but it did and still was a little powdery but it is workable and not chalky tasting. has a mild but distinct flavor that does blend well with other drinks so I like it. What I am disappointed with is it does not say if it has sugar and I can only assume it has sweetner in it because its slightly sweet. I am on very low carb diet and this bugs me. No information.